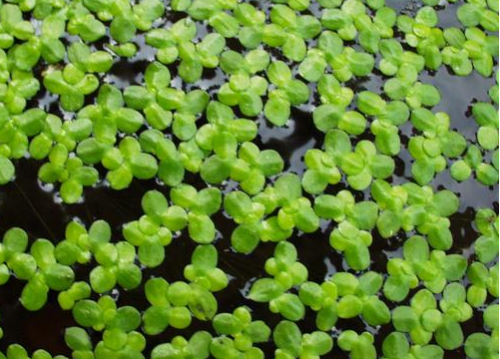 Lemna minor is a fast growing floating plant. It absorbs a huge amount of nutrients (ammonium, nitrite and nitrate) and thanks to them grows very quickly, so as to be considered infesting. It 'a easy to keep, suitable for all aquariums, but its growth should be monitored because it can shadows away all the light to the plants below. 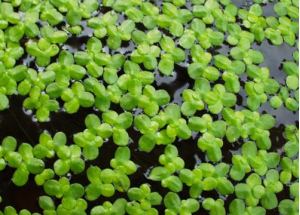 Attention: once inserted in the tank is almost impossible to eliminate it, because it remains always some small plant that begins to multiply. Anyway control it is easy: just remove it with a net from the surface when it expands too much.